Did I just find my wedding band?? 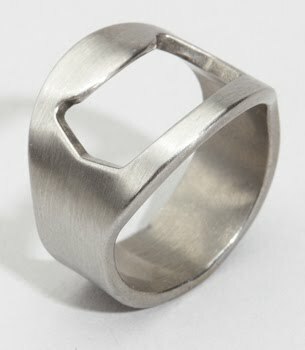 I love the idea of this bottle opener ring, just $8 for two! Maybe I will give these out at favors at my wedding! They're not in stock at Fred Flare yet, hopefully once they get in they'll provide more helpful sizing input. Try finding those rings at thinkgeek.com (http://www.thinkgeek.com/caffeine/accessories/756e/) $7.99/ea and they have all sizes in stock except size 10.